The Palestinian Ministry of Health in the Gaza Strip on Sunday warned of an unprecedented humanitarian and health disaster in the enclave after seven hospitals were forced to suspend services because of the power shortage. 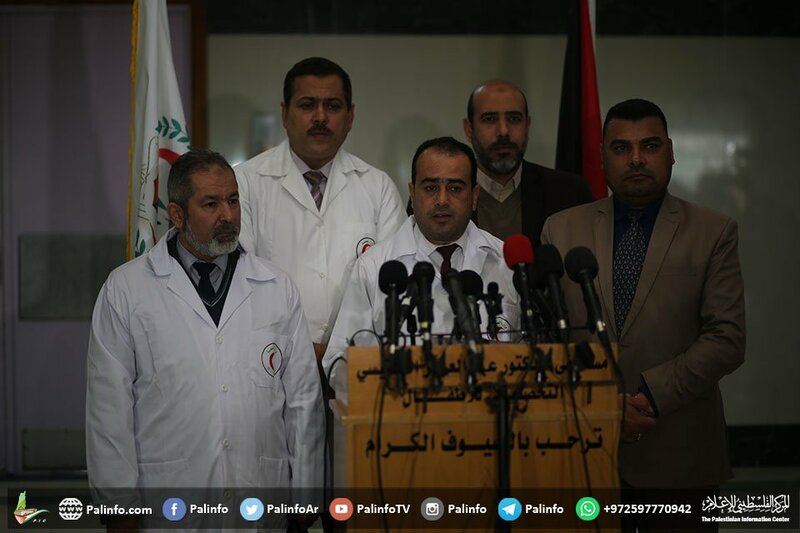 Abu Salmiya said that, based on daily field reports by technical and administrative staff, what is available at Gaza hospitals is less than 17% of the fuel needed during power outages. Abu Salmiya noted that the austerity measures taken by the Ministry of Health will soon become useless as the crisis is worsening. Gaza’s Ministry of Health appealed to those concerned to make serious actions toward ending the crisis and fulfilling Gaza patients’ right to receive proper treatment. The Ministry of Health in the Gaza Strip has been suffering from growing crises in different fields as a result of the Israeli 13-year-long blockade on the enclave, and the sanctions imposed by the Palestinian Authority government for about two years. Gaza hospitals need 45,000 liters of fuel per month to operate generators during power outages which last for 8-12 hours a day. Press TV anchor Marzieh Hashemi’s son, Hossein, has told Press TV’s website he and his siblings have received subpoenas to appear before the grand jury in Washington, D.C.
My name is Hossein Hashemi. I am the eldest son of Marzieh Hashemi, also known as Melanie Franklin. I just want to give an update from where we stand. Currently, the information that is available to us is that she has been detained as a material witness. There aren’t any charges against her. The officials have let us know that much in regard to her case. However, she is being detained in a Washington DC facility. It is a prison system. She has an inmate number and she is being held in a cell. So, we have been very curious as to how someone who does not have any charges against them can be held in the circumstances. We were able to speak with her. My sister spoke with her last night. This is over 48 hours since she was detained, since she was apprehended that we made contact with her. Up until that time, we had very little information even about the fact that there were no charges and so forth. She seemed OK. She was upset about the kind of treatment that she was receiving as a person who [faces] charges would be treated. She had only eaten pretzels because her dietary restrictions limited her from the kinds of food that the prison facility would offer. She is also upset about the fact that her hijab was removed during processing and later on she was only able to cover her hair with a T-shirt apparently. So, these are the issues that she was upset about it. I think from our perspective obviously we want more clear answers. The fact that she has not been charged has made it difficult for us to know what kind of lawyers to pursue and what route forward we should go with, because lawyers have specialties and the fact that she hasn’t been charged makes it difficult … we have hard time understanding how someone who is not charged can be held in a facility like that. I think it is important to know that she is an American citizen and she is a journalist. She is somebody who does documentaries on Black Lives Matters and is critical of a lot of the domestic policies of the United States government, the school-to-prison sort of pipeline and the white community and also the wars abroad and the regime change policies that the United States enforces all the time and puts major budgets behind. She is critical of all these things and that is all plays into it. We don’t know whether those are the reasons for her apprehension, but it is difficult to not become sort of conspiratorial about what is going on with a person as high-profile as my mother. Additionally, I and my siblings have also received subpoenas to appear before the grand jury in Washington, D.C. So, that is also concerning. We don’t know what this is about yet, but we are trying to work it out and the main request we have is information to let us know what it is that she is being held for precisely and that will help us proceed in the correct way hopefully. Abu Hamza al-Masri, born Mustafa Kamel Mustafa in Egypt, is a British Imam with a reputation for hating people he considers enemies of Islam. He was extradited to the U.S. to face trial in a Manhattan court not too far from the former World Trade Center(s), for alleged war related crimes in Yemen, Afghanistan and Oregon. At his trial the jury wasn’t allowed to hear substantial evidence of his work for M-15 British Intelligence. Allegations against him were not based on any violence he committed but on his alleged responsibility for crimes; most of the evidence presented was his words, sermons, statements, opinions, feelings, his freedom of expression. (3) He wasn’t found guilty of hate speech but of 11 counts of terrorism, and he is serving a life-without-parole sentence in the U.S. supermax prison, ADX Florence Colorado, essentially in solitary confinement, in “a cage like cell.” Since apparently the conditions of his incarceration violate human rights law prohibitions against torture and degrading treatment,(4) contravening the conditions of his extradition from Europe to the U.S., the Imam has appealed for removal to prison in Great Britain. He is blind and missing both hands which were lost in an explosion when he was younger (British media have continually referred to him as “the Hook”). With diabetes and psoriasis as well, under U.S. prison conditions at ADX Florence the stumps of his arms become continually infected. An American, a Robert F. Wagner High School and Brooklyn College graduate who earned his M.A. in international relations in London, Fahad Hashmi, as a Muslim was targeted for association with radical friends and was extradited from England to New York, held in solitary for three years before trial, was threatened with a 70 year sentence for storing a friend’s luggage which held clothing for Al-Quaeda, and was sentenced on a plea bargain to 15 years which he is serving at ADX Florence, the supermax facility. Relying on technicalities and the prisoner’s innocence, the prosecution and imprisonment of Fahad Hashmi affirmed American law but betrayed American justice. Held for 22 years in solitary confinement in 2016 former Black Panther Russell “Maroon” Shoatz won through a legal action against Pennsylvania’s Department of Corrections his reprieve from continual solitary confinement, as well as $99,000; his case commenced in 1973 protested the prison’s cruel and unusual punishment. The United Nations Special rapporteur on Torture Juan Mendez noted the conditions of Shoatz’s imprisonment as outside a civilized norm. Mike Africa of the MOVE 9 was finally released on parole Oct. 23, 2018. One of nine MOVE members convicted to 30 years imprisonment for the killing of one police officer who died of a single bullet wound in a police storming of the MOVE home; MOVE members were generally without arms and living under a peaceful ethic and it was always possible that the police officer was killed in the storm of gunfire from his fellow officers. Historically, the severity of the sentencing seems to have been an attempt to silence witnessing of the many police crimes in the Philadelphia Police’s handling of John Africa’s community group. In 2003 Dr. Rafil Dhafir was taken from his medical practice in upstate New York and sentenced to 22 years, not for any alleged violence but for sending medical supplies to the children of Iraq, victims of the U.S. and Coalition bombing campaigns. He was born in Iraq. His attempts to alleviate the suffering of the children there by supplying medicines, was in no way wrong though through misuse and misapplication of the law was made illegal. Medical supplies were wrongly embargoed. Dr. Dhafir as a Muslim, was referred to as a suspected terrorist by New York’s Governor Pataki . To avoid his appearance as a humanitarian the FBI also prosecuted him for medicare fraud and money laundering. Dr. Dhafir donated over a million dollars of his own for medical supplies to children. When a petition for Executive Clemency was prepared for him he refused to ask for mercy as a criminal because he committed no crime. Under Federal guidelines Dr. Dhafir is eligible because of his age for release since he has served at least 10 years (16 years in February) but his release requires the warden’s approval; that hasn’t happened. Katherine Hughes followed the injustices of Dr. Dhafir’s arrest, trial and conviction. (12) She quotes Dennis Halliday who resigned as chief of the UN’s Humanitarian Aid program in Iraq, 1997-98, because he found the sanctions against Iraq, genocide. Of Dr. Dhafir he said, “I am stunned by the conviction of this humanitarian, especially as the US State Department breached its own sanctions to the tune of $10 billion. The policy of sanctions against Iraq undermined not only the UN’s own charter, but the Declaration of Human Rights and the Geneva Convention as well.” Dr. Dhafir was obeying humanitarian law. By denying medical supplies to a civilian population it had decimated, the U.S. was violating the Convention on Genocide. 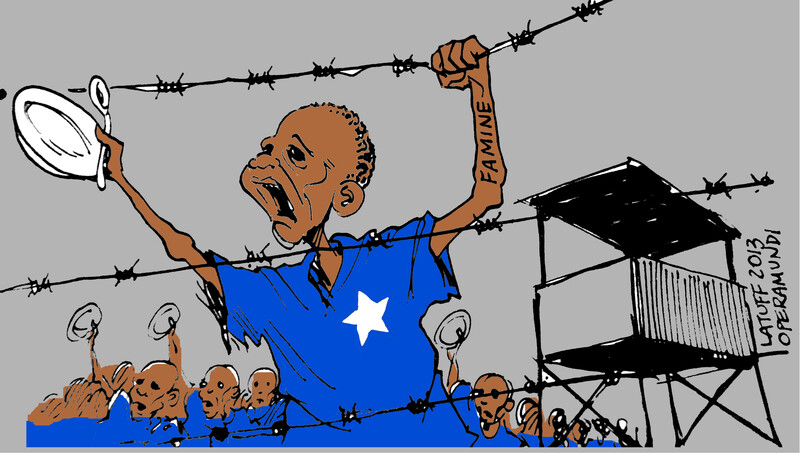 Dr. Dhafir was placed in prison because he was innocent, and because the U.S. legal system has been denying its people the use of the Nuremberg defense, the citizen’s need to counter his or her country’s acts of genocide. Dr. Aafia Siddiqui suffered a very strange conviction by a New York City jury which found her guilty of attempting to assault and murder the U.S. military personnel who were holding her prisoner in Afghanistan. As their prisoner Ms. Siddiqui was shot by them in the stomach. Tried in New York the young mother of three was peculiarly sentenced by a New York City judge to 86 years in prison. Currently the Government of Pakistan is attempting to counter this madness by seeking her return to serve the rest of her sentence in her own country. There is evidence that she has been additionally damaged in U.S. government custody. She was able to complain of physical abuse and sexual abuse at the hands of prison officials in Texas, to Pakistan’s consul general. She accused male prison staff of urinating on things belonging to her. The gratuitous severe abuse of Ms. Siddiqui by U.S. authorities is not traditionally American and may be a psyops program to dehumanize Muslims, women or both, preparing the public for greater indecencies. Juvenal Ovidio Ricardo Palmera Pineda (whose nom de guerre is Simón Trinidad) was extradited to the U.S. when captured as a rebel FARC leader in Colombia. A Colombian professor and peace strategist, accounts of U.S. government trials against him reveal juries that wouldn’t convict him, numerous mistrials and one confused conviction for holding 3 Americans hostage (in a war zone controlled by FARC forces) for which he was sentenced to sixty years. Wikipedia reports that he’s held in the ADX Florence Colorado supermax prison in solitary confinement. Colombia’s civil war is officially at peace. He’s a prisoner of war after the war is over, If released and deported he would face multiple charges under the current Colombian government. On May 17, 2017.Oscar López Rivera was released from prison by President Obama. The Puerto Rican nationalist had served 55 years in U.S. prisons. Initially eligible for parole in 1998 but denied parole ten times, Robert Seth Hayes was finally granted parole July 24, 2018, after 45 years in prison. 1. My most recent essay updating American political prisoners appeared in 2016: “The torture of U.S. political prisoners: some updates” (2016), nightslantern.ca]. 2. “The unofficial gag order of Jamil Al-Amin (H. Rap Brown): 16 years in prison, still not allowed to speak,” Obaid H. Siddiqui, June 30, 2018, SF BayView. 3. “Abu Hamza found guilty of 11 terrorism charges,” Karen McVeigh, May 20, 2014, The Guardian. 4. “Hate preacher Abu Hamza: US prison is too tough,” Callum Adams, Dec. 17, 2017, The telegraph. 5. “Jalil Muntaqim Denied Parole Once Again!” Current. https://jerichony.org/. 6. “Tupac’s Father, Mutulu Shakur , files Lawsuit against the U.S. Government for Illegally Holding Him in Prison,” Sha Be Allah, March 29, 2018, thesource.com. 7. A background note: in the 1970’s Manning and his group which included several Vietnam veterans, worked out of an alternative bookstore in Portland Maine, community organizing, caring for prisoners and their families, antiwar and anti-racist. Portland police discovered a death squad in police ranks with the intention of disappearing the group. The bookstore was broken into, an employee raped, and they were under continuing threat from the KKK. 8. “Political prisoner Jaan Laaman is still being held in segregation,” staff, May 25, 2017, 4strugglemag. 9. “Judge: Mumia Abu-Jamal can reargue appeal in 1981 Philly police slaying,” Bobby Allyn, Dec. 28, 2018, WhyY News. 10. “A Potentially Tectonic Event Shakes up the Mumia Abu-Jamal Case,” Dave Lindorff, Jan. 11, 2019, Counterpunch. 11. “Update on the Kings Bay Plowshares,” Dec 27, 2018 / “Legal Update,” Bill Quigley, Nov. 19, 2018, The Nuclear Resister. 12. “Is this Fairness? Is this Justice? Post-9/11 Muslim Charity Prosecution,” Katherine Hughes, Sept. 20, 2014, Truthout. Her website DhafirTrial is recommended. 13. “Hispanic activist Ramsey Muniz free after 24 years in prison,” AP, Jan. 9, 2019, KRISTV.COM. 14. “No Peace in Colombia as ex-FARC Guerrilla Sonia Awaits Release From US Prison,” W.T. Whitney, July 30, 2018, counterpunch; “Tras ser deportada a Colombia, alias “Sonia” será procesada por lavado de activos,” Judicial, Sept. 25, 2018, El Espectador. The first Palestinian child killed by Nazi occupation forces in 2019 was struck in the head by a tear-gas canister during the suppression of protests in the Gaza Strip. According to Defence for Children International-Palestine (DCIP), Abdel-Raouf Ismail Mohammad Salha – just 13-years-old – was “struck on the left side of his head by Nazi-fired tear gas canister that caused a brain injury on the afternoon of January 11”. In 2018, the NGO documented “three cases where children died after tear gas canisters fired by Nazi forces struck them”. On the day in question, Abdel-Raouf was “participating in a weekly protest in the Abu Safia hill area, southeast of Beit Hanoun”. At around 4pm, while the boy was “standing approximately 150 meters (492 feet) from the perimeter fence with a group of other protesters”, Nazi forces in military jeeps from the other side of the perimeter fence “fired tear gas canisters at the group”. In 2018, DCIP “independently verified the deaths of 57 Palestinian children at the hands of Nazi forces or Jewish Nazi settlers across the Occupied Palestinian Territory”, including 49 killed in the Gaza Strip. Israel could soon significantly downgrade the prison conditions for Palestinian terror convicts, in a move likely to spark outrage among the prisoners and outside the prison walls. Hadashot TV news published what it said were conclusions soon to be presented by a committee established four months ago by Public Security Minister Gilad Erdan, tasked with examining the possibility of worsening the prisoners’ conditions to the minimum required by international law. Erdan announced the formation of the public committee in June in a bid to put pressure on the terror groups to which they belong, chiefly Hamas, to release Israeli citizens and soldiers’ bodies held in Gaza. According to the report, the committee intends to recommend that Israel drastically reduce family visits for security prisoners, and stop letting them buy meat, fish, fruits and vegetables outside prison. They will also be prohibited from cooking meals in their wards and cells, and their food grinders and blenders are to be taken away. Additionally, the Israel Prison Service will stop separating the prisoners according to the terror groups to which they belong, meaning that members of rivals factions such as Hamas, Fatah, and Islamic Jihad will be staying in the same ward and even in the same cells. Other recommendations cited in the report include limiting the number of television channels available to the terrorists, closing the canteens in the wards, and canceling the status of “ward spokesperson” — meaning that only on a few, specific topics will a representative of the prisoners be allowed to speak on their behalf. The report said the repercussions from such measures, if they are approved by Erdan, could be dramatic — both inside the prisons and in the Palestinian streets — and would require special preparation by the Prisons Service. 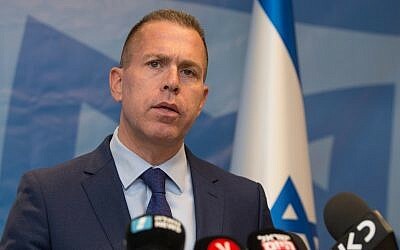 Speaking at a counterterrorism conference in Herzliya in June, Erdan said that studies carried out by the ministry concluded that some Palestinians commit terror attacks seeking to be caught and jailed as a way to run away from problems at home, and suggested that worsening conditions could help reduce possible “incentives” for carrying out attacks. 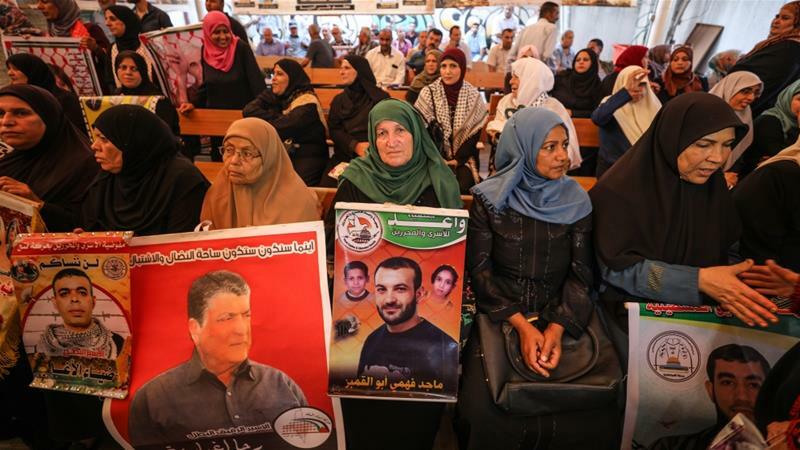 Palestinians have often criticized Israel’s treatment of terror convicts, and prisoners have launched several mass hunger strikes in recent years, seeking to improve their conditions. Last year, hundreds heeded a call by popular Fatah figure and convicted murderer Marwan Barghouti to go on a hunger strike. The demands back then included the resumption of a second monthly visit by family members (a benefit that was canceled by the International Committee of the Red Cross due to budget cuts), the prevention of family meetings being canceled for security reasons, and the restoration of academic studies and matriculation exams to prisoners. Other demands included more television channels being available in cells and cell phones in security wings. Planned moves unveiled by Israeli security minister include limiting water supplies and cutting number of family visits. Israel’s Public Security Minister Gilad Erdan has announced plans to “worsen” conditions for Palestinian prisoners in Israeli jails, including rationing water supplies and reducing the number of family visits. Speaking to reporters on Wednesday, Erdan said the plan will also see jails removing cooking rights and limiting prisoners’ access to television as well as blocking funds to the Palestinian Authority. “The plan also includes preventing members of the Knesset [Israel’s parliament] from visiting Palestinian detainees,” added Erdan, who last year set up a committee to make prison conditions harsher for those who “committed acts of terrorism”. The policy of separating Hamas prisoners from those affiliated with rival Palestinian faction Fatah will also come to an end, as Erdan said that holding inmates in cells based on organisational affiliation resulted in “strengthening their organisation identity”. The minister also said that there will be “clear limits” on the amount of water a prisoner consumes each day, including a cap on the number of times they are allowed to shower. Mustafa Barghouti, head of the Palestinian National Initiative party, told Al Jazeera that the Israeli government acts like it has a free hand to oppress Palestinians in any way they want. “The only way to force Israel to abstain from this behaviour is to impose sanctions on Israel,” he said, speaking from the occupied West Bank city of Ramallah. The Palestinian Prisoners’ Commission denounced Erdan’s plans and said they were an attempt to make Palestinian prisoners’ lives even more unbearable. Qadri Abubaker, the head of the Prisoners’ Commission, called for a strong national stand against these measures. Such decisions and laws “calls for everyone to rally at the official, popular, legal, media and human rights level to expose these arrogant policies against our heroes in prisons”, he told Wafa, the official Palestinian news agency. According to official statistics, the number of Palestinian prisoners behind bars has reached 5,500, including 230 children and 54 women. Rights groups say more than 1,800 are in need of medical care, with about 700 suffering from serious or chronic illnesses. 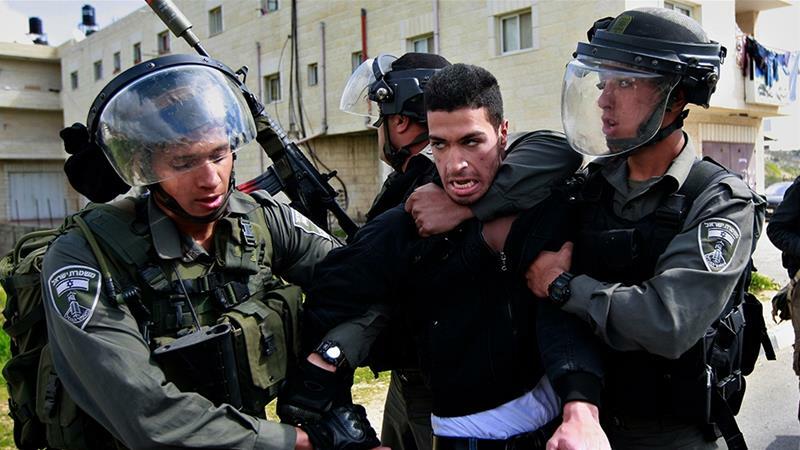 Many Palestinian prisoners say they have been subject to torture and violence while in custody. There have been many protests against poor conditions in recent years, including several hunger strikes. During Wednesday’s press conference, Erdan said the Israeli government would “not be deterred by threats and [hunger] strikes”. “We must make conditions worse [for prisoners] to fulfil our moral duty to terror victims and their families,” he added, going on to assert that the Israeli prison service was ready to “deal with any scenario”. Detainees say Israeli proposals, including water rations and limits on family visits, are a ‘declaration of war’. At least 100 Palestinian prisoners were injured on Monday during clashes with the guards in the Nazi Ofer Camp in the illegally occupied West Bank, according to the Palestinian Prisoners Club Association. The association, which is a Palestinian non-governmental organization, said in a press statement that the prisoners were injured as a result of the successive repression and assaults of the Nazi services against the prisoners on Monday. According to the statement, the Israeli guards of the prison used rubber-coated metal gunshots, tear gas canisters, percussion bombs, clubs and dogs. “Most of the prisoners were injured by rubber-coated metal gunshots and many of them were referred to Israeli hospitals,” said the statement, adding that most of them were brought back to the prison and 20 remained for treatment. The statement called on the international organizations to immediately intervene to put an end to the brutal and aggressive escalation against the prisoners. 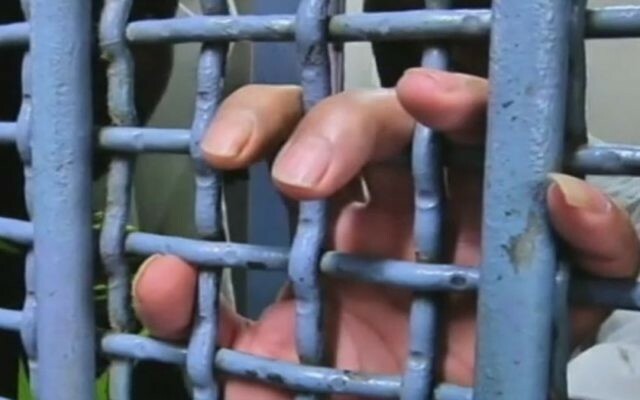 Zionist Radio reported that a number of Palestinian prisoners violated the prison’s discipline and set fire on the prison’s rooms after the prison’s administration punished 12 prisoners for hiding smuggled cellular phones. Leaders of March on Washington for Jobs & Freedom marching with signs (R-L) Rabbi Joachim Prinz, unident., Eugene Carson Blake, Martin Luther King, Floyd McKissick, Matthew Ahmann & John Lewis. As long as what’s called “Western civilization” has existed, people have been punished for being poor. This isn’t something the Western world invented, but it’s been a consistent characteristic of it. 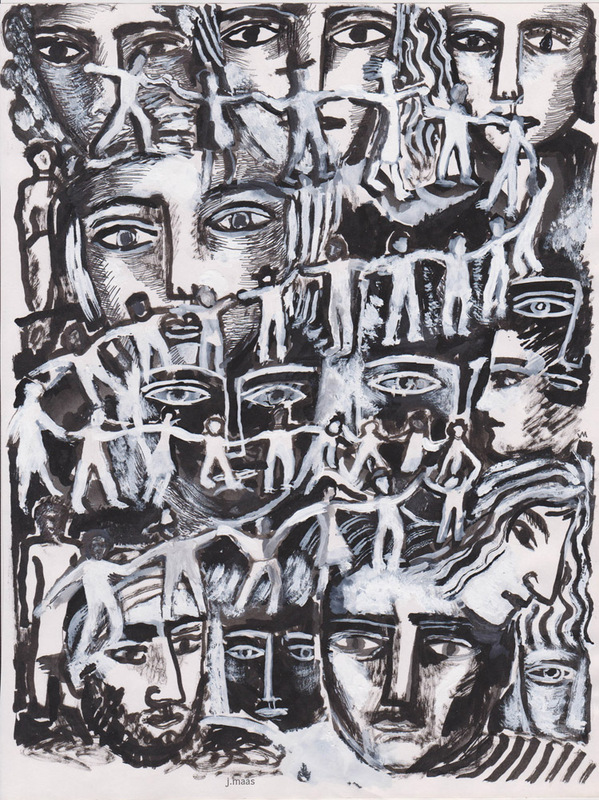 In Where Do We Go from Here: Chaos or Community? Martin Luther King Jr. wrote, “The curse of poverty has no justification in our age. … The time has come for us to civilize ourselves by the total, direct, and immediate abolition of poverty.” Through this call to abolish poverty, King put forth an indictment of Western civilization and of capitalistic society. The abolition of poverty contains the radical admission that the unacceptable doesn’t deserve repair or reform. It’s an honest approach to problems that can be so big and intimidating that they may tempt us to deny what’s plainly true. King was pointing out the mistaken perception that racial capitalism is civilized or advanced. Those who benefit most according to the logic of everyday terror say that we must accept the violence of capitalistic accumulation and the ruthlessness of money. They would have us believe this is as good as it can get. It’s not. From furloughed workers to the unemployed and others facing dire circumstances, we live in a time that has made crowdfunding a regular go-to for people who are struggling to meet their basic needs. The lack of a universal safety net has forced people to try to create their own. The fundamental basis of solutions that many on the left are arguing for — such as socialism — can be explained with this crowdfunding trend. We are saying that it’s completely absurd to work and pay taxes, yet still not have health care, functioning schools and all the needed resources for our communities that tax revenues are supposed to pay for. Our rights should not be made into luxuries, and we should not have to crowdfund for necessities that should be paid for with the wealth our labor generates. A society that has the nerve to call itself “free” should never operate according to a model of fraudulent scarcity, as the United States is doing. The growing austerity practices that oppress us while wages remain virtually stagnant will not be debated or wished away. This exploitative system does not combat poverty, it develops it. Poverty is not a simply a byproduct of racial capitalism; it’s a fuel that keeps it going. A rejection of poverty must include an outright rejection of this system that creates and encourages it. Dr. King suggested many strategies for combatting poverty. Among King’s solutions was an annual income for everyone or “universal basic income.” However, it’s worth noting that King’s proposals came in the context of his time. Who knows what King would have advocated if he saw how much worse things have gotten, and how wealth disparities have grown? Currently, a version of the basic income idea has been enthusiastically revived among the wealthy philanthropic class. This fact alone should encourage our skepticism. Our liberation will not be handed to us by the elite. The work of abolishing poverty means abolishing astronomical wealth too. Wasteful spending on things like the nearly $1 trillion military budget and the money lost not taxing wealthy corporations is enough to drastically alter the impoverished conditions many suffer across the nation. Poverty is not a simply a byproduct of racial capitalism; it’s a fuel that keeps it going. As we work to confront extreme wealth disparities, we also must focus on building the communities we deserve. We should challenge those around us to think about how we’re already practicing anti-capitalism. For instance, a closer look at why people feel the need to give to others asking for help through crowdfunding platforms may reveal principles more suited to a better world. Anti-capitalist principles associated with anarchism, socialism and other important politics that may be unknown to many people going about their daily lives are already being practiced (but not necessarily in name of ideology, or identified by jargonistic terms). There’s organizing work happening that can always be expanded in making the significance clear to people pushing back in whatever ways they can. To some extent, what we need to achieve could be explained to people through this logic of crowdfunding. We need to build our own institutions where we amass what resources, skills and contributions we have together in order for everyone to have what they need. This sort of solidarity around the fair exchange of what we have to offer based in solidarity is mutual aid. Disaster response, in this time of climate crisis, is another place where we regularly see practices of mutual aid playing out. After disaster strikes, people regularly mobilize and organize their communities to survive amid government neglect and state negligence. People share food, housing and other resources until things return to some sort of normalcy. Building programs that disregard the boundaries around usand respond to the consistent crises of racial capitalism is a central tenet of what’s called “intercommunalism.” This was the practice of the Black Panthers, a programmed response to the violence we know is coming. The abolition of poverty starts with honesty and ends with what we truly deserve. Rather than await the next storm, starvation or stranding, we can be preparing so we don’t have to suddenly crowdfund when it arrives. We need to be creating our own institutions that are tasked with fighting the problems capitalism inflicts. Reactionary practices do not offer stability — participants simply enter back into the precarious position of awaiting the next disaster — but the intention behind many of them can help us re-examine our values and push our own institutional practices toward liberation. The abolition of poverty will not simply happen overnight. We have to bring it about in our everyday lives. It’s not going to be given to us by liberal politicians or charitable billionaires who are part of the problem themselves. We’ll have to work where we can and how we can without dismissing our own circumstances in the name of purity. Abolishing oppressive forces means circumventing and undermining them to create our own realities. The abolition of poverty starts with honesty and ends with what we truly deserve. The Sinn Fein members elected in the December 1918 election at the first Dail Eireann meeting, on January 21, 1919. This month marks the 100th anniversary of Dáil Éireann, Ireland’s Parliament. Amid the better-known events of a century ago that led to Ireland’s independence from its union with Britain, such as the Easter Rising or the island’s partition with the Anglo-Irish Treaty, the significance of Dáil Éireann’s founding on January 21, 1919 is often underappreciated. This is unfortunate, since it played a crucial role in the Irish Revolution’s outcome and was a path-breaking event in the emergence of nonviolent civil resistance methods over the last century. The usual story of Ireland’s independence struggle runs something like this: Revolutionary movements such as Wolfe Tone’s United Irishmen in 1798 or the Fenians in 1867 staged a series of violent “risings” against British rule that, while creating romantic nationalist heroes, were easily suppressed (Google “the battle of Widow McCormack’s cabbage patch” to get a sense of how they often turned out). These “physical force nationalists” were opposed by “constitutional nationalists” such as Daniel O’Connell and Charles Stewart Parnell who instead pursued a nonviolent reformist agenda within the British political system that gradually proved more successful. A political cartoon from 1886 showing men kicking British Prime Minister William Gladstone and the Home Rule bill in the air. O’Connell’s Catholic Emancipation movement won civil and political rights for Irish Catholics in the first half of the 19th century. Toward the end of the century, Parnell welded most of the British Parliament’s Irish representatives into the Irish Parliamentary Party, a block of votes that traded its ability to make or break majorities for concessions such as land reform that helped transfer farms from absentee British landlords to their Irish tenants. The chief goal of the constitutional nationalists was Home Rule, which would grant Ireland its own parliament and significant autonomy, though still as part of the larger British constitutional system and under some measure of British sovereignty. After a decades-long fight and several near misses, the British finally granted Home Rule in 1914, only to suspend it with the outbreak of World War I. This is where momentum shifted back toward physical force nationalism. As majority-Protestant areas around Belfast in the north raised a militia and imported arms to resist Home Rule and keep the British union as it was, majority-Catholic areas in the rest of Ireland responded in kind. In an environment of increasing militarism, Patrick Pearse and a small group of armed rebels seized key positions in Dublin on Easter Monday in 1916 and proclaimed an Irish Republic completely independent of Britain. The British military’s heavy-handed response — reducing the center of Dublin to ruin, executing the Rising’s leaders, imprisoning thousands not even involved, and declaring martial law — further radicalized the country. Within three years, the Irish Republican Army, or IRA, had launched a bloody insurgency campaign against British troops and local police units. The Anglo-Irish War, fought as a series of ambushes, assassinations and civilian reprisals, finally forced the British to cede Ireland its de facto independence in 1922, but only after partitioning off six counties that would remain part of the British union as Northern Ireland. The usual story’s framing of violent versus reformist methods in Irish nationalism is true as far as it goes, but also incomplete. What it misses is a powerful third tradition of radical, extralegal, but still nonviolent resistance. In the 19th century, many rural communities, often organized by women in the Ladies’ Land League, refused to pay rent to British absentee landlords or work for their local land agents at harvest time. Indeed, our word “boycott” is named for Captain Charles Boycott, a land agent in County Mayo ostracized by his local community in 1880 during a noncooperation campaign. An Irish Land League poster from the 1880s. Nonviolent methods grew more widespread leading up to and during the revolutionary period. In the years preceding to the Easter Rising, Dublin saw major industrial and transportation strikes; activists such as Helena Molony, arrested for destroying a picture of King George V during his coronation visit to Ireland, refused to pay fines and took jail sentences instead; and some Irish juries would not convict locals accused of opposing the British war effort during World War I. After the Rising, railway workers refused to carry British troops and munitions, other work-stoppages secured the release of political prisoners, and hunger strikes by Irish nationalists in British custody brought international condemnation down on the British government. Founded a decade before the Easter Rising, Griffith’s Sinn Féin movement came into its own in the revolutionary environment of the Rising’s aftermath. When the British government, desperate to replace soldiers killed at the front during World War I, decided to extend military conscription to Ireland in early 1918, Sinn Féin joined labor unions and Catholic clergy to coordinate a massive nationwide civil disobedience campaign. Almost two million people signed an anti-conscription pledge after Sunday masses that April 21. Arresting Griffith and other movement leaders only strengthened opposition, and ultimately the British found conscription unenforceable. The anti-conscription campaign was a springboard for Griffith’s most innovative idea: using British elections themselves to select, legitimize and seat a rival Irish government outside the British system. When elections to the British Parliament, long delayed by World War I and featuring a newly expanded franchise with the inclusion of women voters, arrived in late 1918, Sinn Féin candidates, again backed by labor activists and Catholic leaders, swept to victory everywhere except the unionist strongholds in the north. Following Griffith’s policy of “abstentionism,” they refused to take their seats in the British Parliament and instead, acting as if British authority no longer existed, gathered at Mansion House in Dublin to declare themselves Dáil Éireann, or Assembly of Ireland, establishing the independent Irish government that exists to this day. While the British outlawed the Dáil as a “terrorist organization,” it continued to operate underground in accordance with its newly drafted constitution, appointing government ministers, sending diplomats to foreign capitals, and issuing bonds to raise money hidden from British authorities in sympathetic Irish banks. Operating as a parallel government, it attracted increasing allegiance from ordinary Irish people. The nonviolent defiance of British authority led by Dáil Éireann existed alongside and overlapped significantly with violent methods during the Anglo-Irish War. Many nationalists supported both approaches and moved back and forth between the Dáil’s political resistance and the IRA’s military operations. But while mainstream, popular historical accounts give the violence more attention and credit for the Irish Revolution’s outcome — often through romanticized accounts of leaders such as Michael Collins — they underplay or miss entirely other critically important aspects of the struggle. The historical evidence is clear that the Dáil’s campaign of noncooperation and parallel government did just as much or more to make Ireland ungovernable and force the British into negotiations. These actions eventually led to an independent country in the 26 southern counties and the formal handover of administrative power to the Dáil as that country’s legitimate government. If the methods developed by Arthur Griffith and Dáil Éireann are underappreciated in the usual story of Ireland’s independence struggle, the same is true of their contributions to the history of nonviolent civil resistance more generally. Few realize the impact Griffith’s innovative techniques for withdrawing authority from an occupier had on better-known nonviolent campaigns that followed him. India’s is the most notable. After attending a Dublin Sinn Féin meeting in 1907, Jawaharlal Nehru wrote: “They do not want to fight England by arms but to ignore her, boycott her, and quietly assume the administration of Irish affairs.” Leaders of the Swadeshi movement that organized boycotts of British goods praised Griffith as a “model.” And, perhaps most significantly, Gandhi himself cited Griffith’s direct influence on his own ideas, though he decried the later turn to violence by many Sinn Féin members. This influence shows how Griffith’s noncooperation techniques embodied by Dáil Éireann were important early contributors to one of the most significant developments of the last century: the emergence of organized civil resistance as an alternative to armed struggle. Indeed, as researchers such as Maria Stephan and Erica Chenoweth demonstrate, nonviolent civil resistance movements since 1900 are twice as likely as violent ones to succeed against an oppressive regime or foreign occupier. And the case of Griffith and Dáil Éireann suggests such comparisons may actually understate the power of nonviolence. The Irish Revolution is an example of nonviolent strategies operating effectively, if more quietly, within an otherwise violent campaign, revealing how even seemingly successful violent movements may actually owe much of that success to overlooked nonviolent techniques operating behind the scenes. Dáil Éireann’s centenary, then, is a chance to celebrate this still-underappreciated revolutionary power of nonviolence.